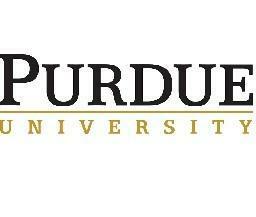 The mission of the English Language Program (ELP) at Purdue University Calumet is to provide intensive academic English as a Second Language (ESL) instruction and cultural orientation for English language learners who plan to pursue degrees at Purdue University Calumet and other U.S. institutions, to serve as a resource to the university and the community on English language teaching and learning, and to provide its students with intercultural competence opportunities by connecting them with the university and the local community. Our main objective is to provide you with the skills you need to succeed academically at an English-speaking university. Our courses are focused on the four skills-reading, writing, listening, and speaking. Grammar and vocabulary are integrated throughout these classes. Classes meet 4 days a week, Mondays through Thursdays. Fridays and some Saturdays are Field Trip Days organized by the Office of International Programs at no additional cost: students are taken on cultural and educational field trips to Chicago and the region. Several domestic students working as mentors accompany ELP students on these field trips in order to provide students with cultural insight and English practice.